This Heart Quillow and Companion Pillow Project designed by Ariel LaCoste of Pellon Projects, The Pattern is available for free. 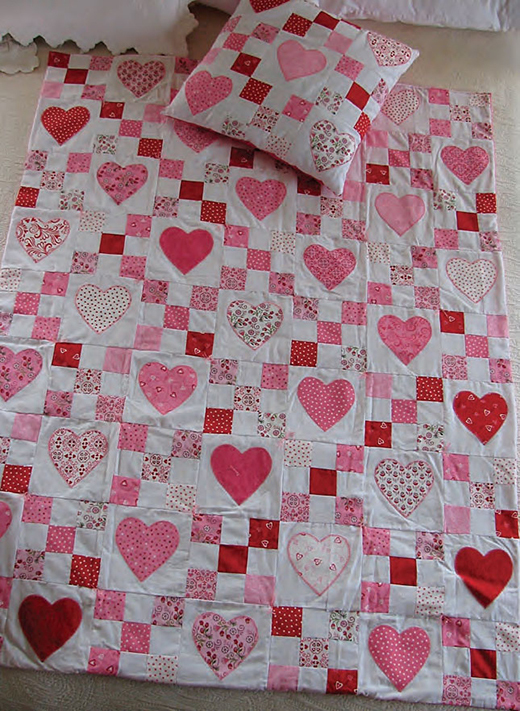 Make this sweet Valentine ‘quillow’ for everyone on your list. This tied lap quilt folds up into a pocket to become a pillow. Children of all ages would love one of these. Patterns used were 9-patch and heart applique. Finished size is 42” x 63“. Companion pillow is 18” square.